Al Faris group UAE urgently requires Office Clerks/ Coordinators. Its a direct recruitment with Free visa. Even fresh graduates can apply. About the Company : Founded in 1992, they are a family owned business with over 25+ years of experience in the MENA Region. With state of the art lifting and transport equipment and through integrated best practices in HSE, they provide – safe, innovative, and reliable solutions for Heavy Lifting & Heavy Transport Solutions. 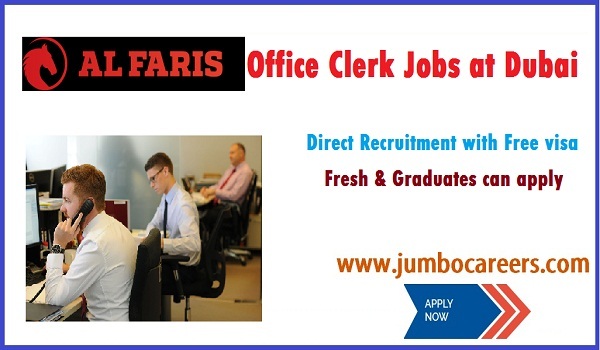 – Al Faris Group Dubai currently looking for Clerks for Workshop department in DIC office .